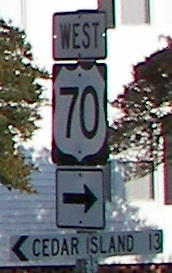 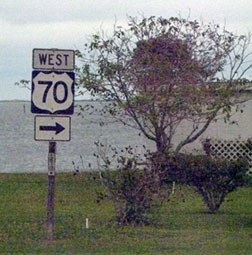 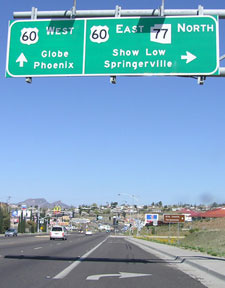 US 70 was an original 1926 route; its west end was in Holbrook. 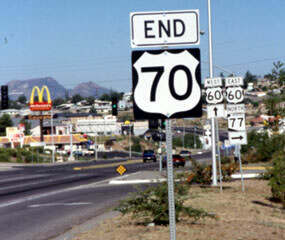 West of Clovis NM, US 70 followed an incredibly tortured route to get there. 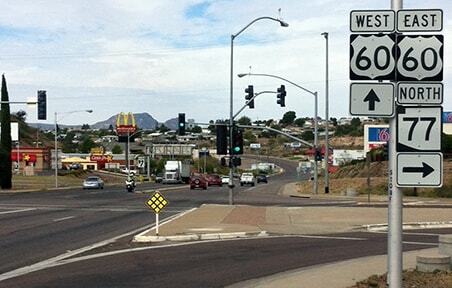 Perhaps that is why in 1932 the west end was truncated at Clovis and instead extended to El Paso. 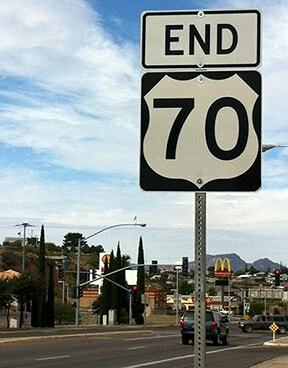 And already by 1934 US 70 had been extended all the way to Los Angeles (more info on those pages). 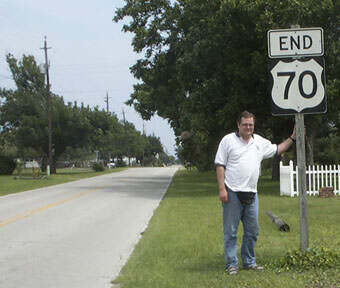 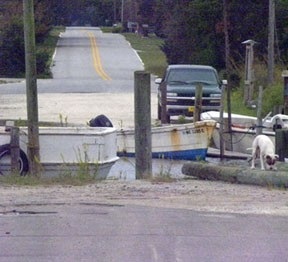 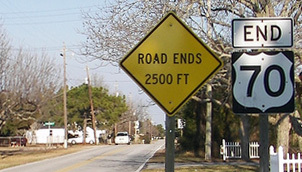 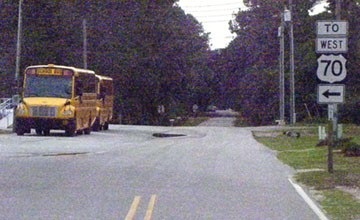 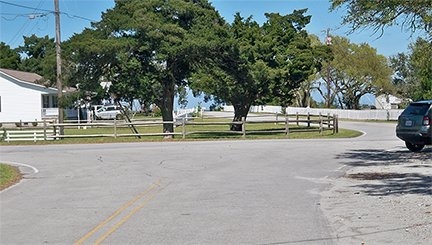 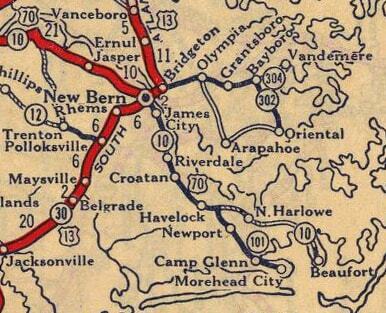 ...but by 1928, US 70 had been rerouted to use old NC 101 through Morehead City, then crossing over to Beaufort. 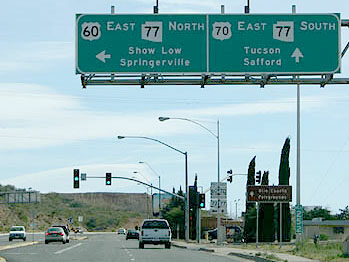 ​In 1934, the US 70 designation was removed from the segment between Alamogordo NM and El Paso (today's US 54) and re-routed through Las Cruces and beyond: along a path that closely resembles modern US 70... except it continued past Globe, all the way through Arizona and southern California, ending in Los Angeles. 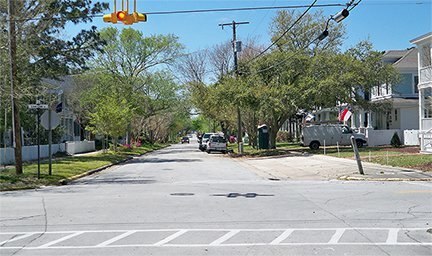 last updated Aug. 12, 2017.